had written Bye ,Bye Birdie? The show premiered in Los Angeles to rave reviews and mass audience appeal. 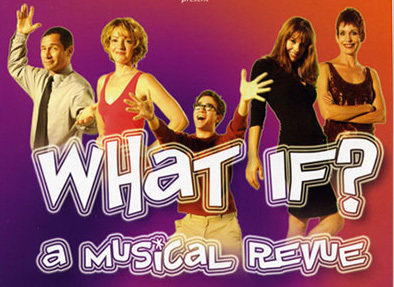 (Read the reviews) Whether Broadway Musical fans or not, audiences will split a gut with this hysterical new show by screenwriter and actor Bruce Kimmel. Click here for more details about this show. Join us in Pikeville County, Kentucky in 1938 as actors from the Federal Theater Project and WPA present William Shakespeare's Twelfth Night. Using the town Union Hall, the company of actors re-imagines Shakespeare's timeless comedy set in an isolated coal-mining town. This rousing production incorporates much of the traditional folk music and dance handed down from the Elizabethan Ancestors of the mountain dwellers and further tell the tale of mistaken identity, mixed-up passion, and drunken merriment. 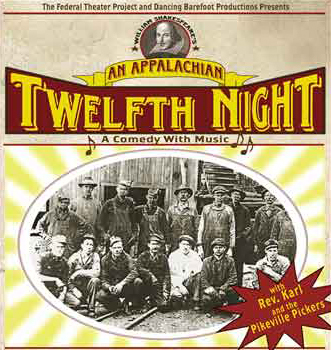 Visit the Appalachian Twelfth Night website. The perfect production for the Holiday Season. The story takes place in 1959 at CBS Studios where Judy Garland and her guests put on a holiday special. Everyone in the cast captures the spirit of these colorful characters and the music will keep audiences coming back year after year. Click here for more details. Visit Judy's Scary Little Website. 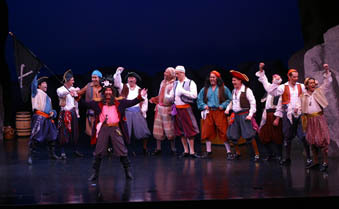 "Opera A La Carte mustered a first-rate 'Pirates of Penzance." Authentic versions of these delightful classics, staring Richard Sheldon, this country's foremost performer and authority of all things Gilbert and Sullivan. Produced by Opera A La Carte (a 35 year old company specializing in Gilbert and Sullivan) the show has toured throughout the United States and has performed in virtually all major venues. Maestro Entertainment is currently booking Pirates of Penzance, Mikado, HMS Pinafore and The World of Gilbert and Sullivan. "The group responded to a standing ovation with an encore from HMS Pinafore."